Predators of the Heart is a 501(c)3 nonprofit organization. We have been captivating and educating audiences since 1998 and have become the largest traveling exhibitor in the Northwest. Our sanctuary is in Anacortes, WA on a 10 acre parcel that houses wolves, cougars, bobcats, birds of prey, many different species of reptiles and small mammals. We are insured and licensed by the USDA that ensures the safe keeping, proper care, and humane exhibition of our animals. Our goal is to educate children about wildlife, not only to teach the facts about the animals, but to use an approach that leads to an appreciation, affection, compassion and respect for these living creatures - to make it clear that an animal's value is not determined by its similarity or services to humans. Our purpose is to develop caring and concern for the animals. Our aim is to help open the eyes of their hearts to see that all nature is interconnected and realize that apart from it we cannot survive. We also serve as a sanctuary for animals that cannot be reintroduced to the wild and need a safe and healthy environment to live out the remainder of their lives. 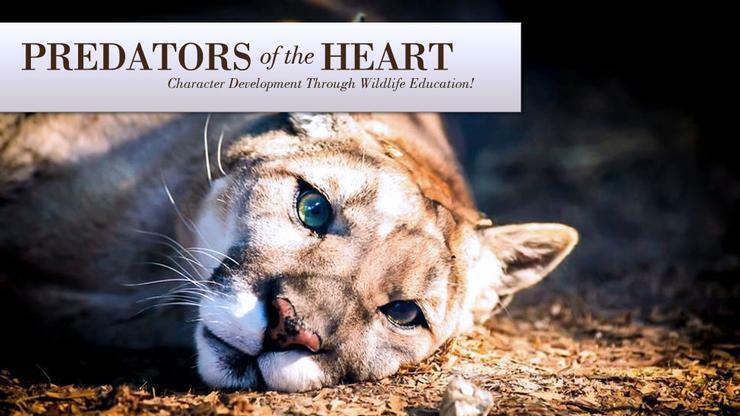 Learn more about Predators of the Heart.